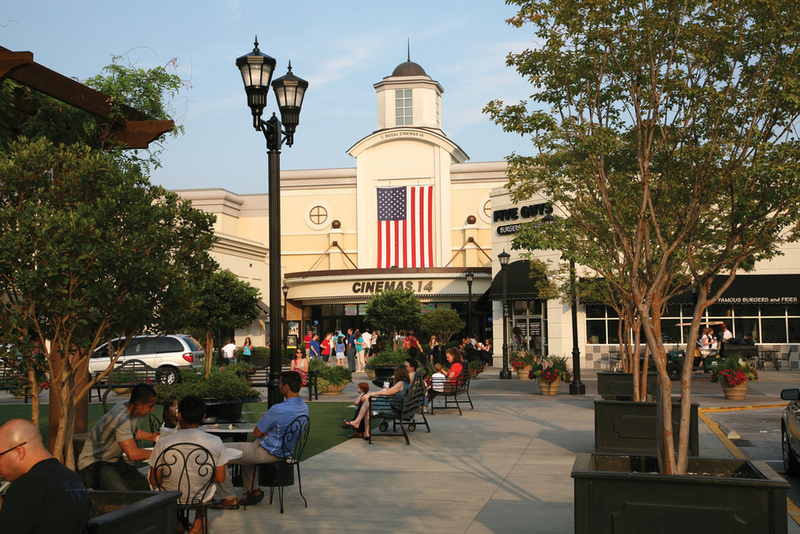 Originally developed as an enclosed mall in the 60's, North Hills was completely redeveloped as a $200 million mixed-use development in the Raleigh, North Carolina suburbs. The project comprises 770,000 sf of retail and restaurants assembled around a town square and shopping streets with on-street parking. The retail is anchored by JC Penney, Target, a cinema and a Harris Teeter Grocery Store. The project also includes a 200-key Renaissance Hotel, 300,000 sf of offices, a 300-unit residential building, a 14-screen cinema, and a 65-unit condominium tower. Two levels of underground parking serve the development.